experience reading a book by this author. It was a little different in that the heroine was a reluctant debutante for the season. She was unaware of her beauty in a refreshing way that made her appealing. If one can dare to compare her to anyone perhaps it would be to Eliza Doolittle for a brief moment only because of her innocence in the social mores of the day. She was a bit more educated than Eliza but she was like her in that Charlotte was outspoken and sometimes spoke her opinion without realizing it isn't often done by young ladies presented in society who are looking for a husband. She was born to a family of botanists and when her mother died, Charlotte got her father through his loss by helping him with his work by writing, illustrating and managing the household. Brought to task by her uncle the Admiral, her father came to see that he had relied far too long on her and that she should be out in the world, seeking a husband. About this time, Mr. Trimble, one of her father's correspondents turned up on their steps from New Zealand with some plant specimens. He would suit just fine as Charlotte's replacement on the job, leaving her to her uncle's project including dinners, new gowns and finding that suitor to carry her along to a marriage....but away from her beloved work. Along the journey, she encounters suitors of course, but also a young friend, and a maddening relationship with the man who took her job, Mr. Trimble. Most important of all though is the self discovery of who she really is. I think this discovery is what sets this book apart from a run of the mill romance. 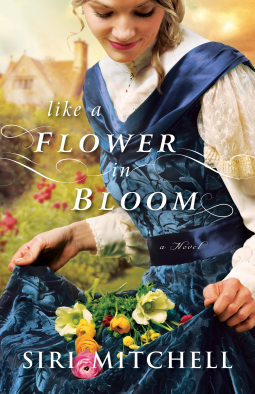 If you want to follow Charlotte on her journey and learn a little about botany, read Like A Flower In Bloom! Tuesday, January 13th, 2015 is a day for the books! 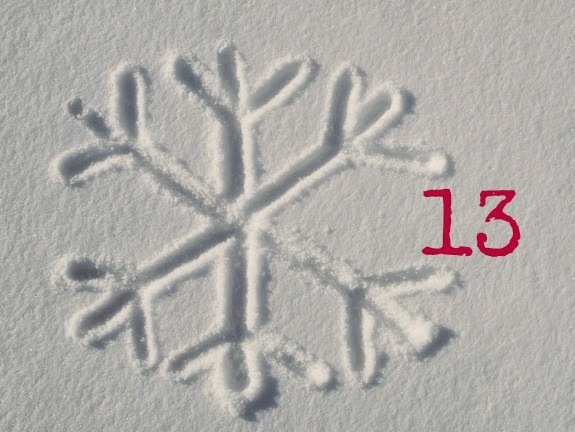 It is the first time in 2015 that we will have a day with the number 13. Let's celebrate because 13 is a great number and without it I may have been born on the 12th or 14th. It is 6 months until my birthday but really, who is counting? My sister Linda loved to tease me and she couldn't resist when she realized I was actually born on Friday the 13th. She always said, "No wonder!" I can smile about it now but being overly sensitive, I was greatly affronted at the time. Fast forward to my twenties and I was a regular visitor to my allergy specialist whose office was in the tallest building in town at the time. I was puzzled as I zipped up the elevator why the floors jumped from 12 to 14. After checking it out I discovered that many buildings in the country skipped the 13th floor because of superstitions. "Three things will last forever—faith, hope, and love—and the greatest of these is love." 1 Corinthians 13:13. About 25 years ago I cross-stitched the last 6 words of this verse and for many years it sat on my dresser until the glass in the frame broke about 5 years ago. One goal I have is to replace this frame by January 31st. Once I do I will post a picture. In the meantime, take this rambling post to heart and embrace the number 13 for all the good things about it. When we seek the good things that is what we will find.